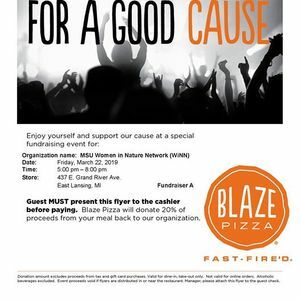 Join the MSU Women in Nature Network for dinner at the East Lansing Blaze Pizza. 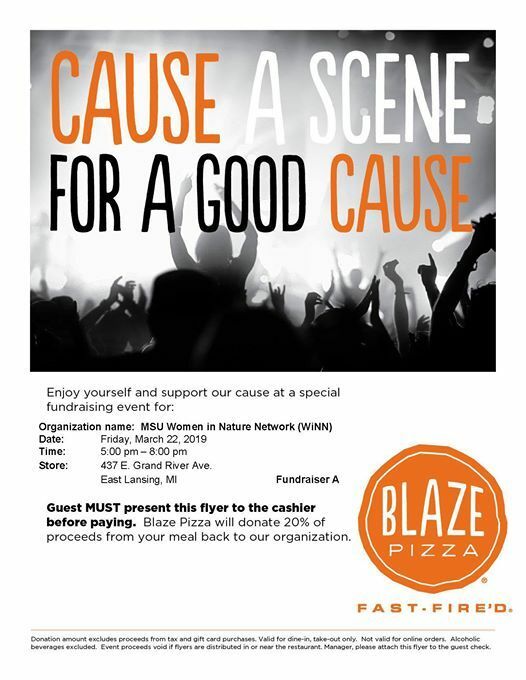 Between 5 & 8 PM on March 22nd, 20% of all the proceeds will go to the Women in Nature Network. 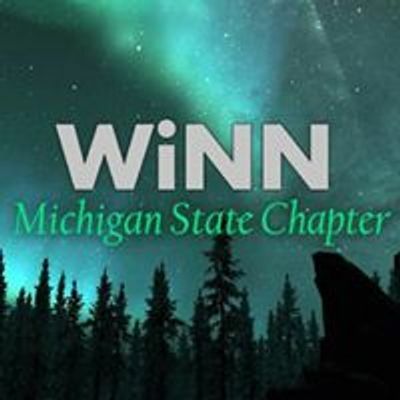 These funds will be used to help fund events like brown bag lunches, guest speakers, travel to WiNN global conferences, and networking socials. NOTE: IN ORDER FOR FUNDS TO GO TO WiNN, CUSTOMERS MUST PRESENT THE FLYER (THE MAIN BANNER PHOTO) WHEN THEY CHECK OUT!